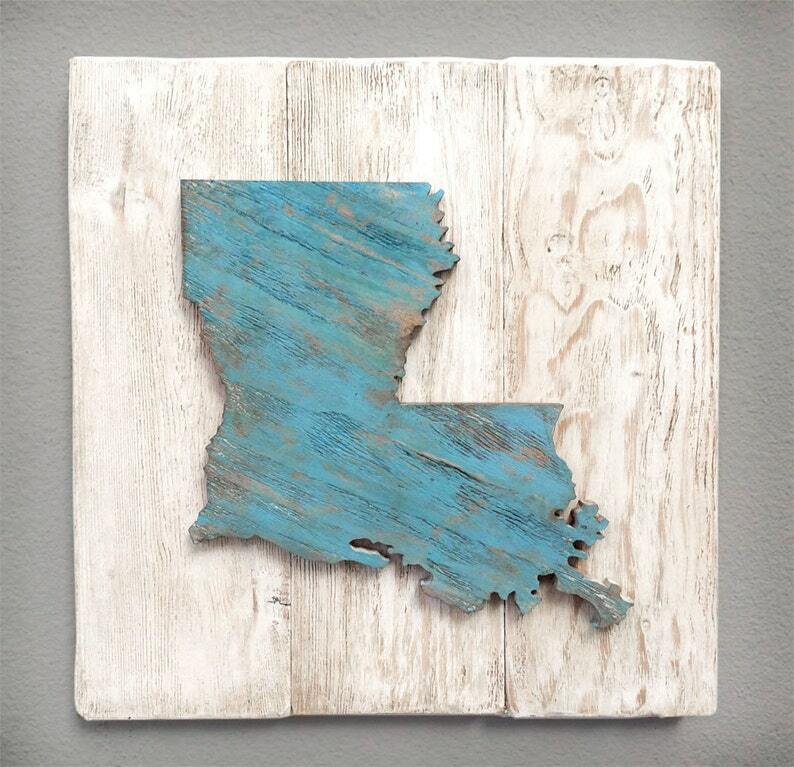 Large Handcrafted custom STATE sign Wall Decor. (appx 17" x 17"). 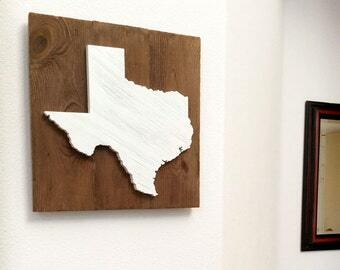 This rustic state wood cut-out wall decor is hand crafted, manually cut (not laser cut), and made to order. Available in several different color options and combinations. Fine craftsmanship at it's best! Proudly display your home state, you significant other's home state, and/or your children's home state, or display them all, with these beautiful wall art creations. These make wonderful wall art for yourself and to give as gifts to family and friends. These wall art pieces are available in 15 different colors options as shown in listing images (above). Each tray is made to order. Creator of these art pieces has over 18 years experience in wood construction, and also has an creative artistic background, and so he really enjoys this aspect of creating with wood. 1) Make sure to select your color options (state and background colors). 4) In box that says "Add an optional note to seller" -- WRITE YOUR REQUESTED STATE or STATES. 5) Proceed to check out!! *Please note that actual colors may differ from screen to screen as not all monitors/screens are calibrated the same. Wall decor includes hanging hardware already attached. *Please remember that these are handcrafted items and that no two will look identical and each come with their own hand-crafted rustic uniqueness which adds to the charm of handcrafted creations. If for any reason you would like to return your purchase, you MUST contact us to request the refund within 3 days of delivery. You may return your purchase for a full refund of the purchase price (less shipping and handling fees) if you return it to us within twenty-one days from our shipped date. Your item must be received within twenty-one days for a full purchase price refund which will be applied AFTER we have received your item. All custom ordered sales are FINAL. No returns, refunds, or exchanges permitted. Colors are approximate and not exact matches to what is seen on screen, as screens vary. Nice tray. 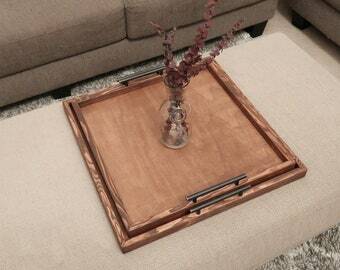 The shop definitely doesn’t have $100 invested in their product but you can’t find a tray like this anywhere else.